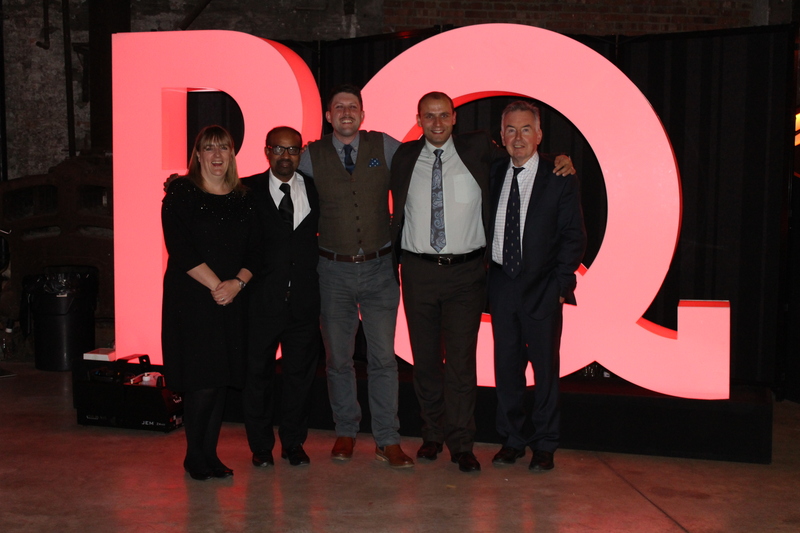 Academic and Support Staff representing GCU London at BQ National Entrepreneur Festival. 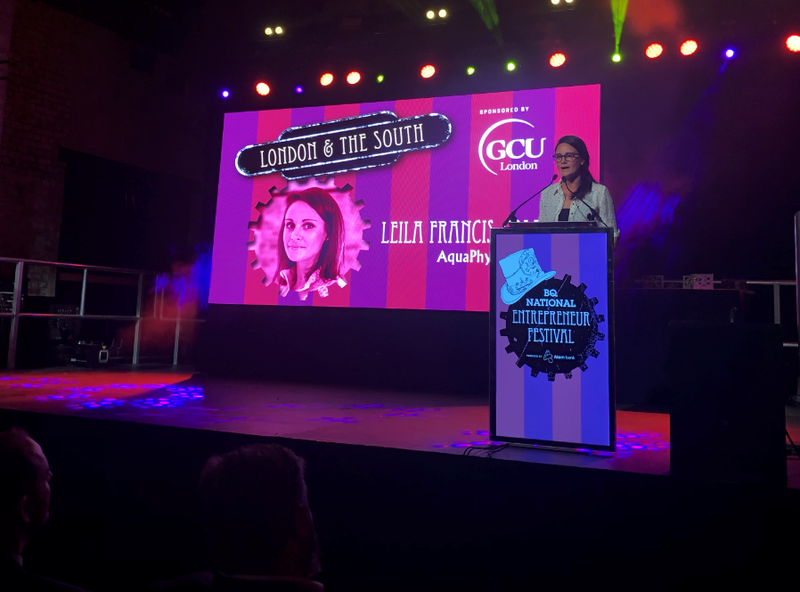 On Tuesday 21st November, GCU London proudly sponsored the London & The South Emerging Entrepreneur Award at the BQ National Entrepreneur Festival held at The Boiler House in Newcastle upon Tyne. 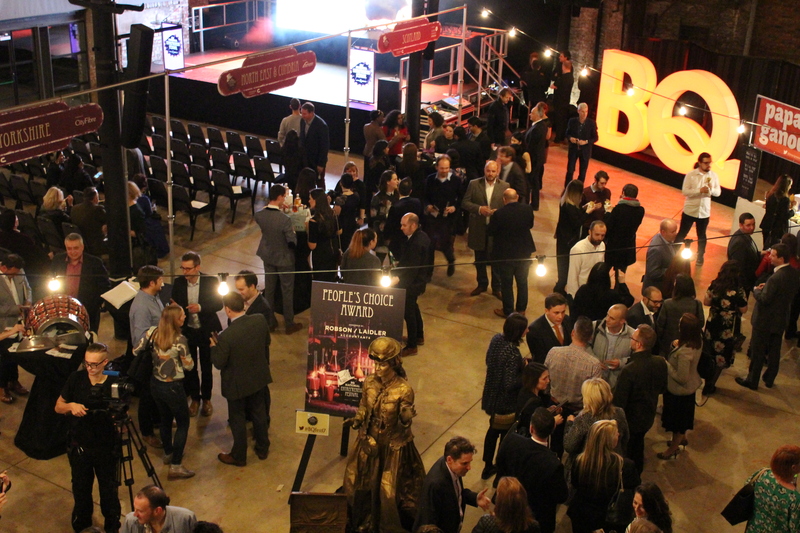 The festival aims to recognise the best up and coming entrepreneurs from across the UK, where individuals were able to self-nominate or nominate a colleague to be shortlisted for the regional awards. GCU London was represented by academic and support staff from both London and Glasgow campuses. The team consisted of Professor John Lennon (Director of the Moffat Centre at GCU), Ruth Cawthorne (Head of Operations), Dr. Madhu Acharrya (MSc Risk Management and MSc International Business Finance and Risk Management Programme Leader), Craig Dewis (Learning and Student Services Manager), Thomas Peschken (MBA and MSc Global Marketing Programme Leader) and Dr Dane Lukic (Senior Lecturer in Organisational Learning and Research Lead for GCU London). 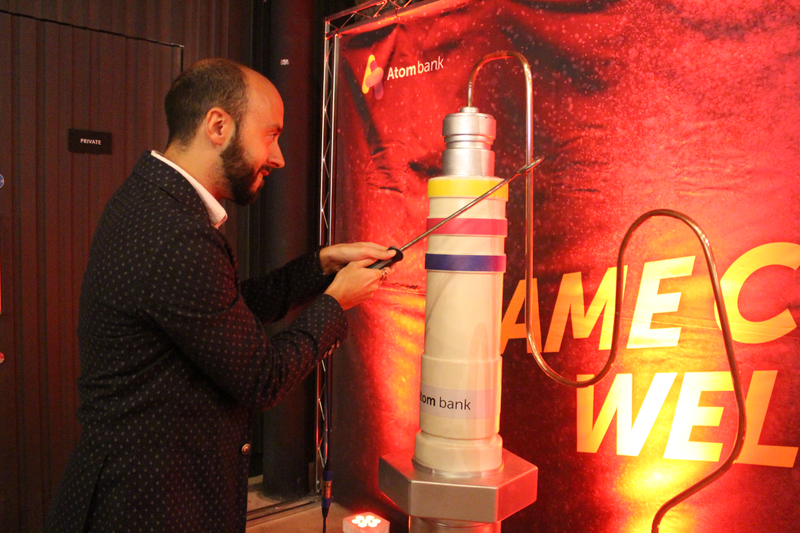 The evening kicked off with networking, games and even a magician before moving on to the exciting Emerging Entrepreneur Awards announcement. The awards ceremony was presented by Kim Inglis (Television Presenter and Journalist). Shortlisted candidates were given one minute to sell their business one last time before finding out if they had won the award representing their region. Thomas Peschken had the pleasure of announcing the London & The South Entrepreneur of the Year winner which went to Leila Francis Coleman of AquaPhysical. 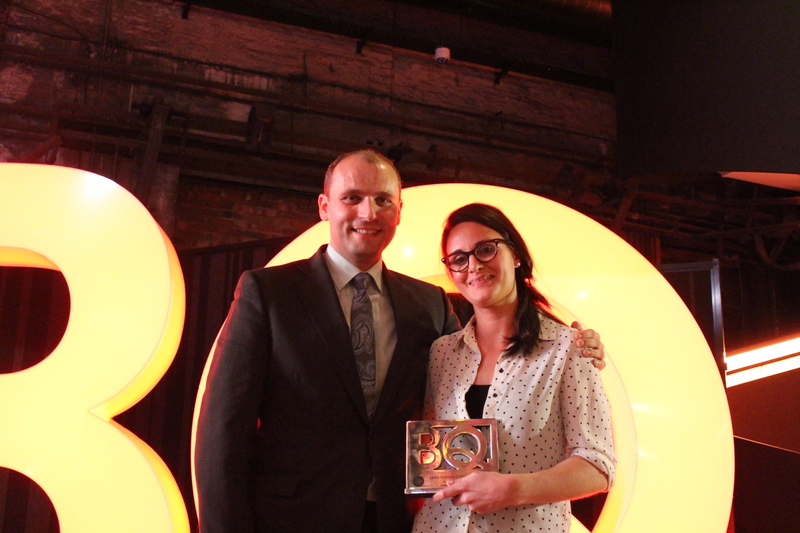 Leila was then later crowned the Overall Emerging Entrepreneur of the Year! Leila started AquaPhysical in 2015, designing the world’s first floating exercise mat. Currently the product is stocked in over 50 countries worldwide. Find out more about her innovative company here. “It was simply inspiring to listen to the entrepreneurs presenting their stories. I was excited about being involved and announcing the regional winner for London & The South. Yorkshire – Benjamin Lawton of Custom Controllers. North East & Cumbria – Andy Haddon of Earth Doctors Ltd.
Scotland – James McIlroy of Enterobiotix. North West – Kate Badger of the Academy of Fun! Midlands – Melissa Snover of the Magic Candy Factory. Huge congratulations to all the winners!